Bellator 208 is in the books and a thrilling weekend of MMA action has finally concluded. An exciting headline match between former Pride FC Heavyweight Champion, Fedor Emelianenko and former UFC superstar, Chael Sonnen has resulted in the world now knowing who will contest the final in the Heavyweight Championship tournament to determine a new Champion after Emelianenko won a hugely entertaining encounter. The perfect end to a thrilling two nights of MMA action, Bellator 208 did not disappoint. Bellator 208 like 207 was a show that promised much on paper but delivered yet more in reality as Bellator's exciting weekend of MMA concluded in thrilling fashion. The number two MMA promotion in the United States has been on an absolute tear in recent times, delivering incredible action up and down it's cards as it successfully integrates famous MMA veterans such as Emelianenko, Sonnen, Tito Ortiz, Frank Mir and others on its events with hot young talent, which makes an exciting environment for the viewer. The battle to declare a new Heavyweight Champion heated up with the first Semi-Final bout between Matt Mitrione and Ryan Bader, which saw Light-Heavyweight Champion, Bader take a step closer to becoming a Double Champion in the promotion and now we know that the legendary Russian Heavyweight will compete with him in the Final in a mouth watering clash. Huge MMA stars Benson Henderson and Cheick Kongo and Kevin Ferguson Jr highlighted an undercard in matches that thrilled and shocked in equal measure. One of Bellator's biggest shows of the year delivered with some incredible moments and surprises and now there is no doubt whatsoever that most eyes will be on Bellator 209 as the company continues to build incredible momentum. Let's review the best and worst moments from a wild night of fights at Bellator 208. 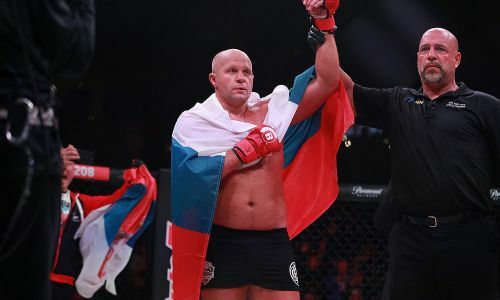 The legendary Russian, Fedor Emelianenko has once again proven that he still has plenty of gas left in the tank as he stopped Chael Sonnen in the First Round of their explosive headline encounter at Bellator 208. With a spot opposite Ryan Bader to determine the Heavyweight Champion on the line, Emelianenko wasted little time in exerting his authority over Sonnen, tagging the American twice with big right hands in the opening seconds of the bout. To his credit, Sonnen kept coming back against his larger foe and did finally secure a take-down but the big Russian was just too strong and escaped before smashing Sonnen again with another huge right. Ground and pound and the stoppage followed. 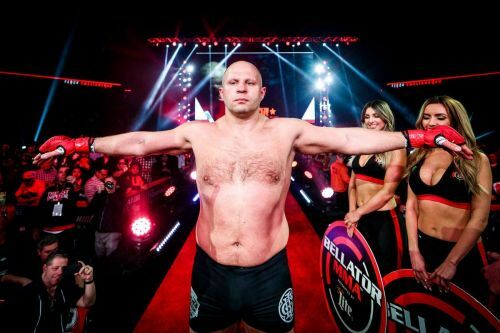 Emelianenko does not have the cardiovascular conditioning he once had in his prime but one thing is certain, he remains, even at the age of 42 an immensely strong man. Bader will be the favourite in the Heavyweight Final but no one can count the Russian out as he proved here in a hugely impressive performance.